Missing artwork is a very irritating sight for perfectionists like me who want their music library to be well organized at all times.AndiTunes won't get album artwork automatically, It is indeed a dreadful sight when half of your tracks are missing their respective artwork. They not only make your library look aesthetically unpleasant but also unorganized and messy. How to Get Album Artwork in iTunes? There are methods to Get Album Artwork in iTunes if your iTunes Missing artwork andiTunes won't get album artwork automatically; the automatic method and the manual method. How to get album artwork in iTunes? iMusic is a simple and fun iTunes manager that lets you get album artwork in iTunes and manage all of your iTunes data across all of your devices (iPads, iPhones etc.) without having to go through iTunes every time. Moreover, it helps organize your iTunes library by scanning for missing album artwork, missing tags, duplicate songs and missing tracks etc. and fixes it automatically in the click of a single button. It can also be used to back up your data, manage your contacts and transfer photos from one apple device to another. It is compatible with Windows XP, Windows Vista, Windows 7, Windows 8, Windows 10, MAC OS X, iOS 9 as well as Android and Windows phones. 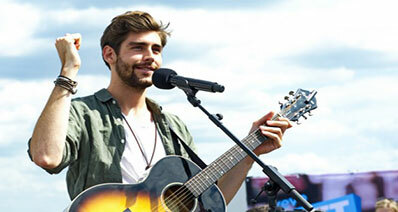 Download music from over 10,000 music and video sites. Record music in original quality and automatically split the ads. 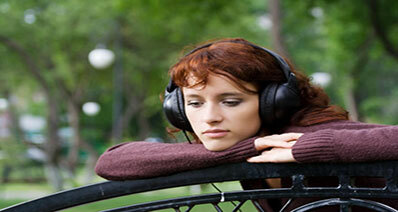 Discover and download music from more than 300,000 songs. 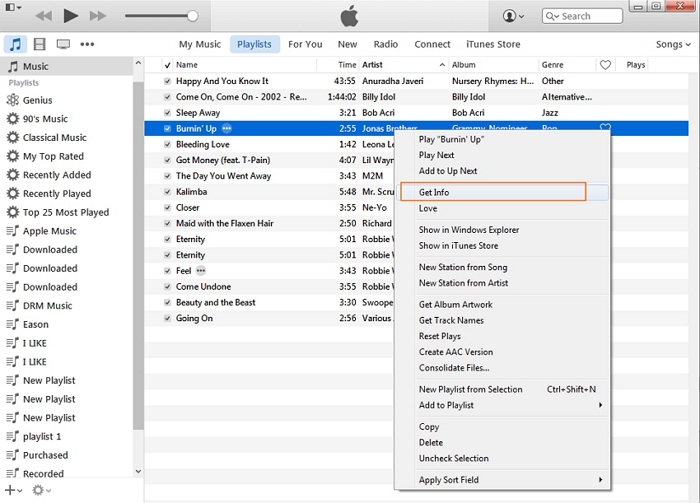 Transfer music between any two devices directly without iTunes. 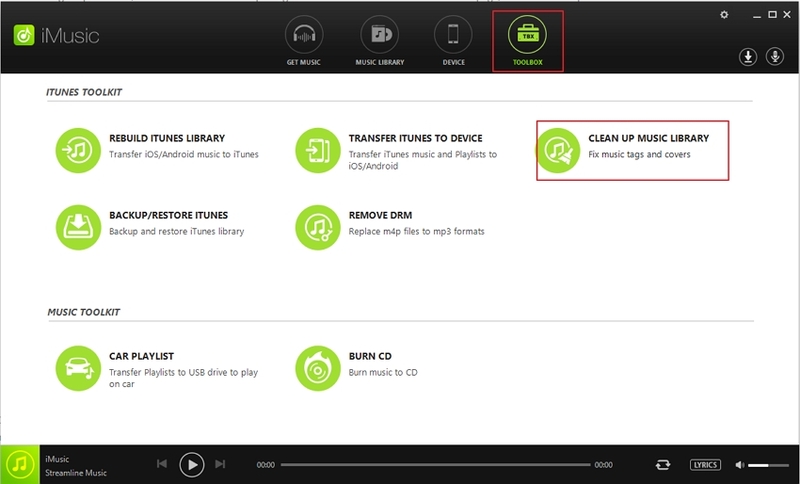 Fix music library intelligently with correct ID3 tags. Step 1. To download iMusic, go to https://imusic.aimersoft.com/, you can download the trial version with limited features or you can register the paid premium version for only $39.95. Step 2. 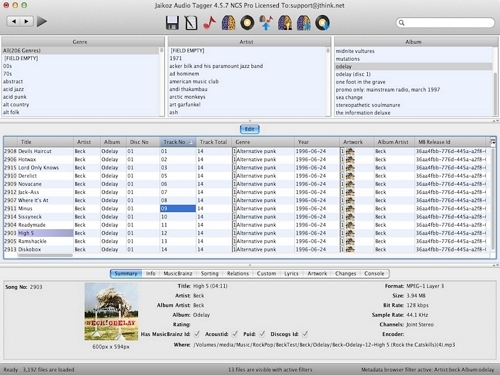 After launching iMusic, click TOOLBOX from the top navigation of the interface to enter the toolbox page, then select the option of CLEAN UP ITUNES LIBRARY. Step 3. 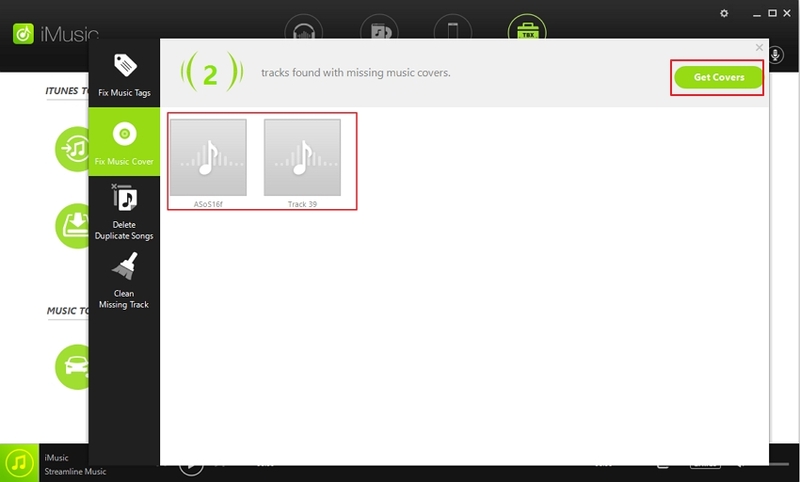 Click the Missing Covers option from the iMusic Scan window. 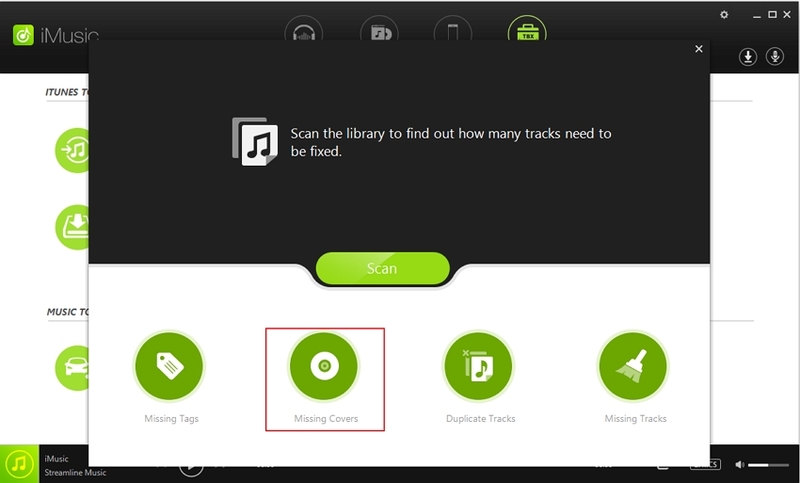 iMusic will start scanning your library for missing covers and present the tracks which have missing covers or wrong covers. Step 4. Click Get Covers at the top-right corner on the window to fix all the missing album artwork, and then click Save button to reserve the covers. Step 1. 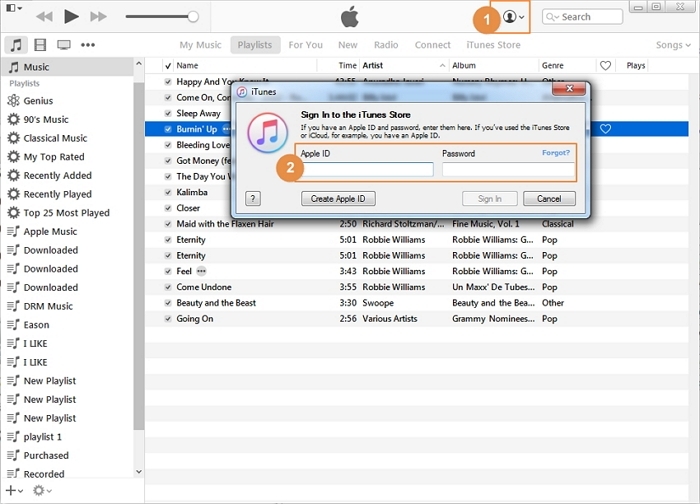 Sign in to your iTunes store using your Apple ID. If you’re already signed in, simply open iTunes. Step 2. Select all of your audio files by either holding Shift key while you click each file individually or by using Ctrl+A. Step 3. 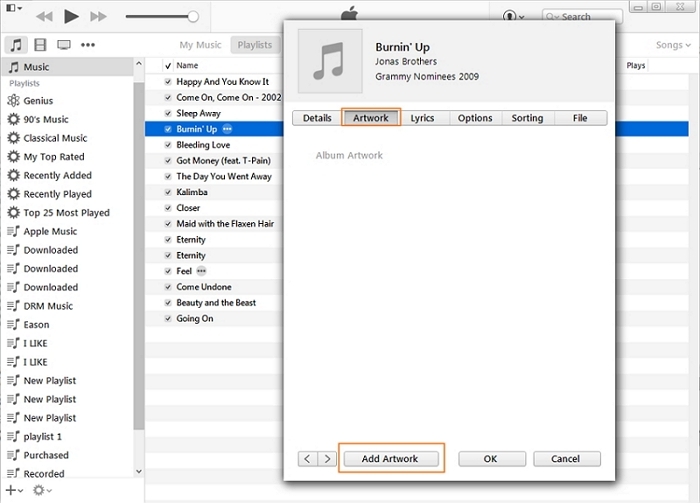 Now right click on the selected songs, and from the dropdown menu select “Get Album Artwork”. Step 4. Sit back and relax, iTunes will automatically start looking for and retrieving missing album artwork. Once the automatic retrieval process is complete, you’ll get a notification informing you of it. If somehow some of the artwork couldn’t be retrieved (and there’s a great chance it’ll happen), you’ll be notified accordingly. 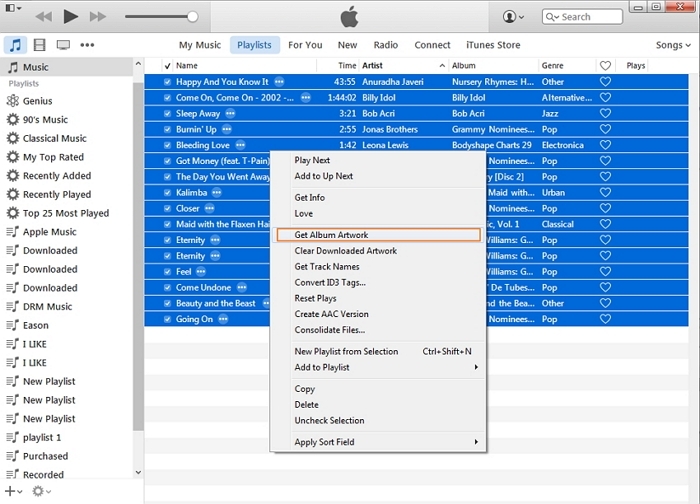 Follow the steps below if you have iTunes tracks with missing artwork and iTunes won't get album artwork automatically. Step 1. Look for artworks on Google for the respective albums/tracks. Step 2. Save the images in the desired location of your computer/laptop. Step 3. Open iTunes, select the song for which you want to add artwork, right click on it and from the dropdown menu select “Get Info”. Step 4. A new screen will open up, go to the tab labelled “Artwork” and click “Add Artwork”. Browse to local desired image and click “Open” to add it. Then click “OK” to save the artwork. 1. The automatic method to get album artwork in iTunes in most cases, fails to retrieve all of the missing artwork. 2. In manual method to get album artwork in iTunes, you have to look for each of the missing artwork by yourself, save it to your computer/laptop and then follow a cumbersome process of adding it individually to the desired audio files. Now we can compare the three processes to get album artwork for iTunes discussed above i.e. the automatic artwork retrieval using iTunes, the manual artwork retrieval using iTunes and artwork retrieval using iTunes and it is obvious that by using iMusic for "iTunes get album artwork" is not only simpler but also less time consuming. 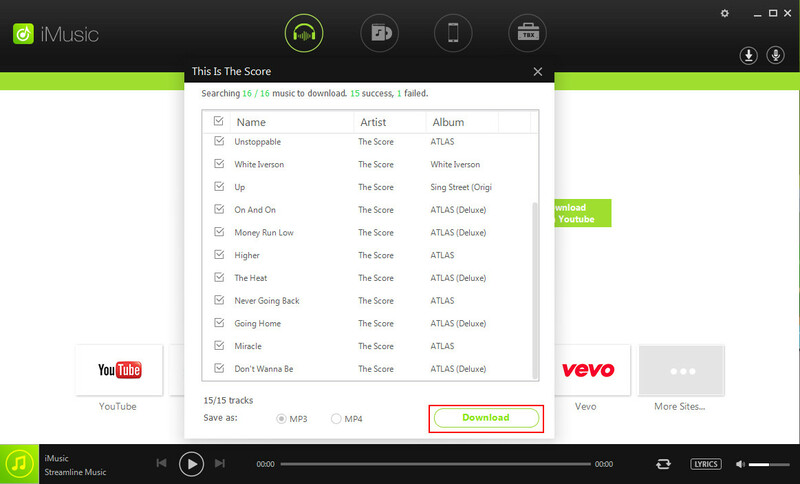 You might want to go ahead and get that premium version now that you’ve seen how beneficial iMusic is!